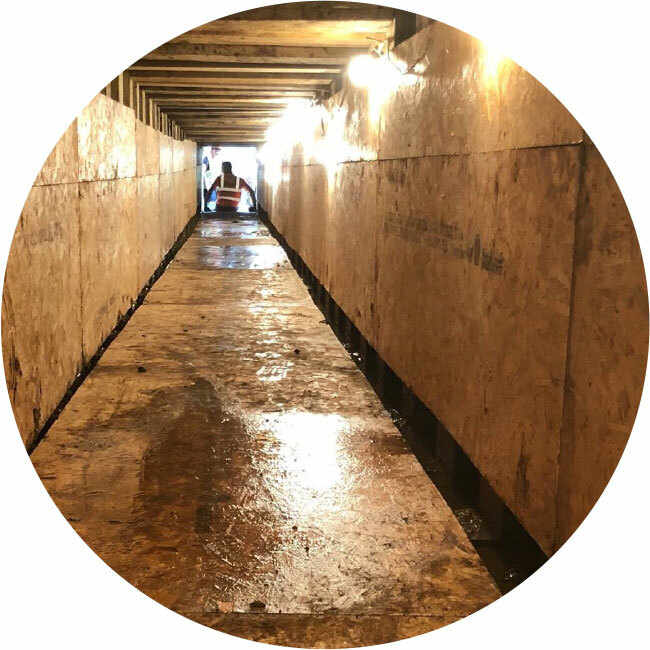 An overview of several commercial and residential projects we have completed using either shaft & timber heading (tunnelling) and/or open cut trench excavation. See also Testimonials﻿﻿ from our clients. Sewer diverted at a depth of 3.5m. 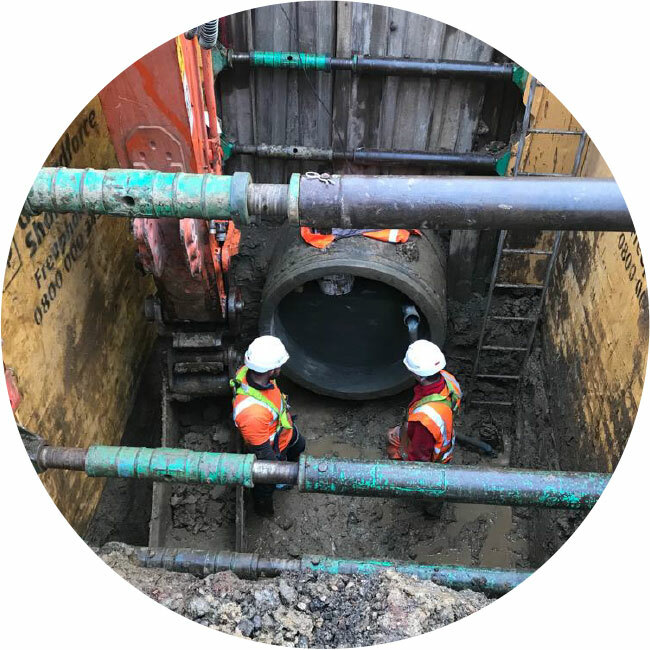 Installation of over 200m of 1200ID concrete pipes and constructing ten 2100ID manholes. Three 15m long timber headings.  Forced ventilation was utilised on this project due to contaminated ground conditions. 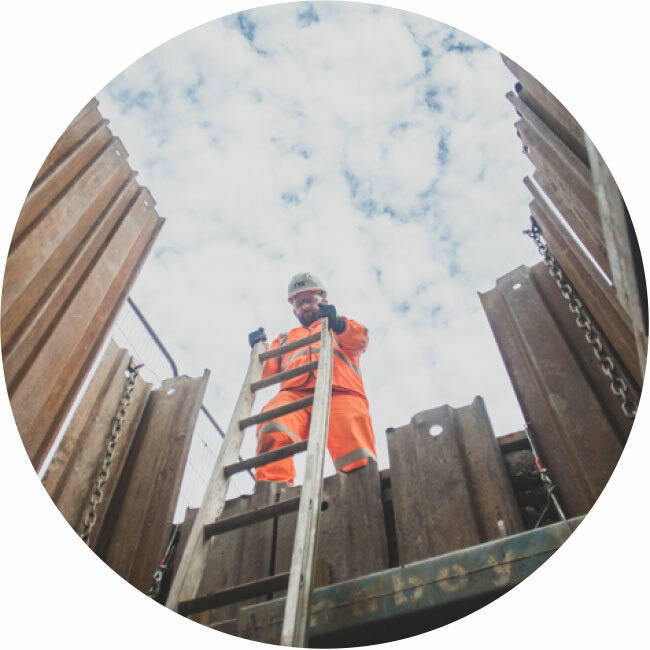 Regular communication with our client meant the difficult site circumstances were worked around and the project was successfully completed within the required timeframe. A 33m long open cut through the busy TFL highway outside of West Hampstead Rail Station. 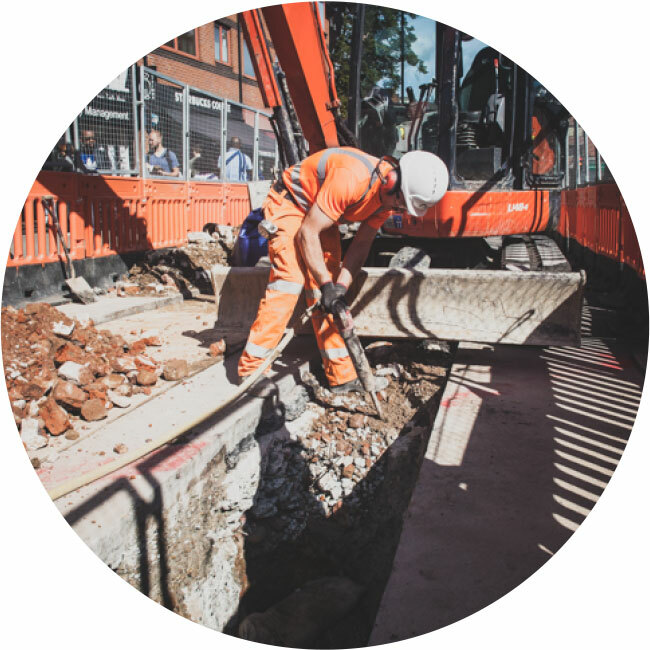 A 5m deep shaft was then excavated and a timber heading of 17m in distance was driven to the existing manhole in the road. The heading was grouted to provide extra support to the structure. Timber heading 40m in distance beneath the Spanish Steps at Wembley Stadium. Two headings of approx. 20m length were driven from opposite ends to meet in the centre. 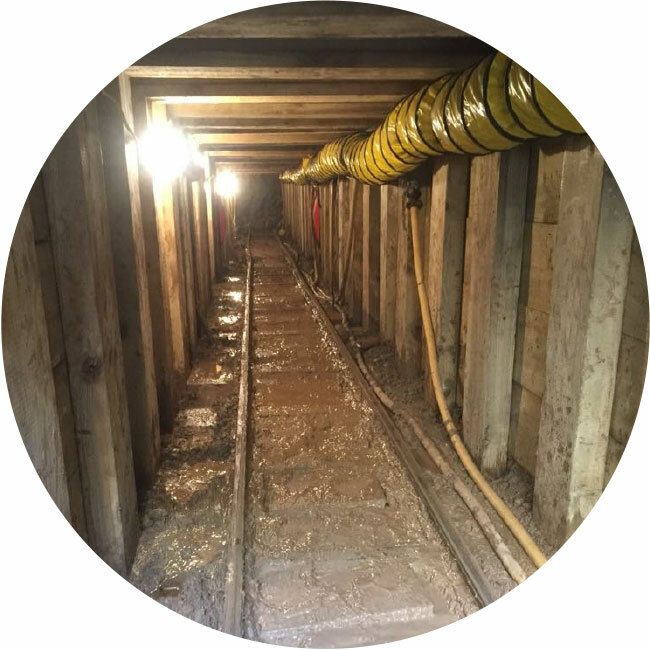 A shaft 3m in depth was excavated in the road, from which a 8m long timber heading was driven to the nearest main sewer. The heading and shaft were backfilled with dry lean concrete, and two new demarcation chambers were built on site. Relocation of 600mm x 450mm demarcation chamber (manhole) at a depth of 1m. 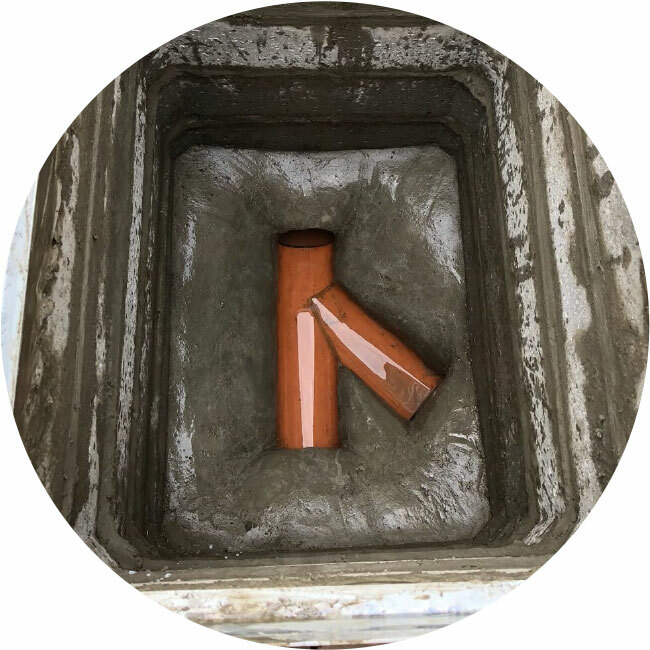 Installation of two stub pipes.